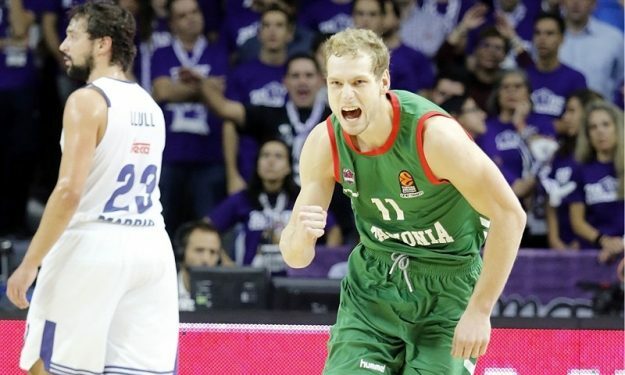 Jaka Blazic and Barcelona Lassa have agreed on a one-year deal. According to Eurohoops sources, Jaka Blazic and FC Barcelona Lassa have agreed on a one-year deal that will send the 28-year old to Barcelona. Over the weekend, there had been reports that the two sides were near a deal, but on Monday morning the two sides finally agreed on a one-year contract. Blazic is coming off his best season in the ACB Spanish League with MoraBanc Andorra after averaging 13.6 points and 4.3 rebounds per game. After making a couple of moves this off-season, Barcelona is looking to come back to the Turkish Airlines EuroLeague playoffs, and Jaka Blazic is a piece of the puzzle.